All food and beverages. In-room liquor dispensers. 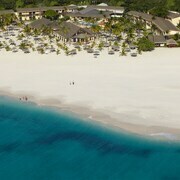 Water activities like snorkeling excursions and sailing. Onsite entertainment. All food and beverages. 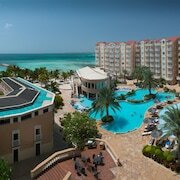 Water activities like snorkeling excursions and sailing. Onsite live performances and dance classes. Arcade. Casino shuttle. All food and beverages. In-room minibars with all drinks. 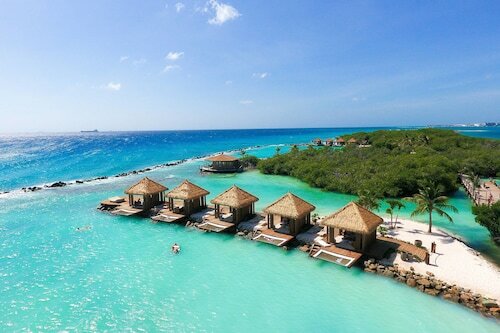 Water activities like kayaking and snorkeling. Onsite entertainment and dance classes. All food and beverages. Water activities like snorkeling and kayaking. Onsite live performances. Arcade. Casino shuttle. All food and beverages. 24-hour room service. Land activities like volleyball. Playground. Buffet and à la carte meals. Local beverages and soft drinks. Land activities like fitness facilities. Onsite entertainment and yoga classes. Supervised childcare. 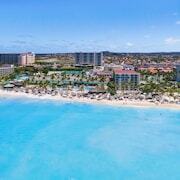 Does Aruba have all-inclusive resorts? 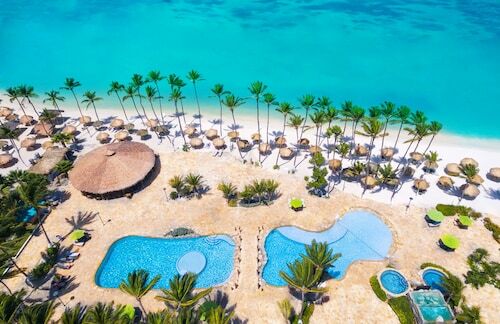 Barcelo Aruba - All Inclusive, where you’ll have direct access to the beach, as well as an on-site casino and pumping DJ sets. 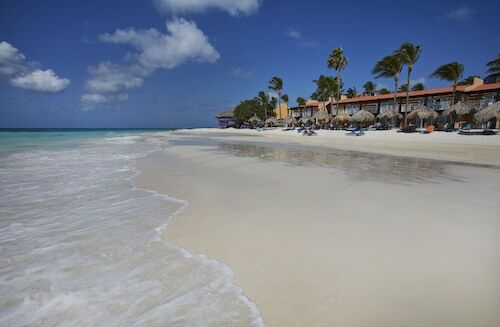 Tamarijn Aruba All Inclusive, a lavish beach resort with freshwater pools and opportunities to get stuck into water sports and water aerobics classes. 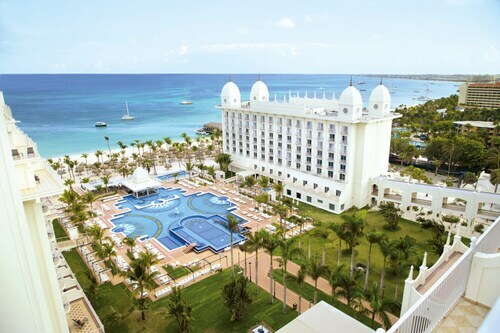 Riu Palace Antillas All Inclusive - Adult Only: Located on Palm Beach, this is a playground for grown-ups with a wide-ranging entertainment and water sports program. 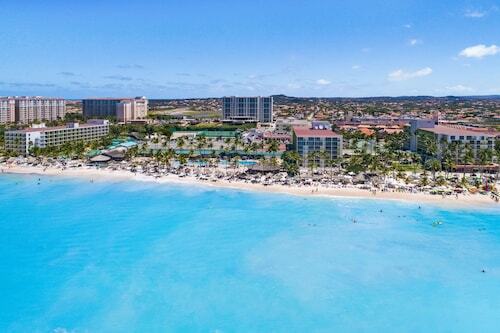 Renaissance Aruba Resort & Casino: Situated down the coast in Oranjestad, this plush pad offers rooms with sumptuous views of the Caribbean. 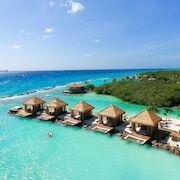 Bucuti & Tara Beach Resort - Adults Only: This Eagle Beach resort is all about pure romance, with no kids around to distract you from your other half. Breakfast was excellent but dinner menus on both restaurants needs improvement for example: my wife & I stayed 2 weeks & ate all possible fish offered in the menu other few others dishes weren’t to my taste but I ate them anyways. Service everywhere was excellent. Front office: everyone was very helpful. Without hesitation I will come back to holidayinn anytime. Our stay was at the ocean suites with a beautiful ocean view. The property itself is on beautiful grounds with a wonderful market place with restaurants live music and drink everywhere. 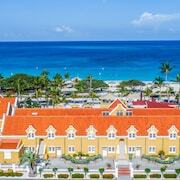 Aruba is definitely one happy island but the renaissance makes your stay that much special. 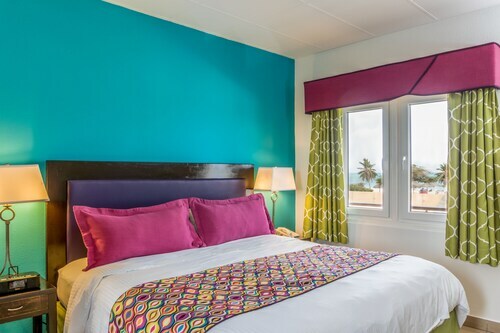 the rooms are nicely updated, kept clean, staff is super friendly and accommodating. I would definitely stay here again. 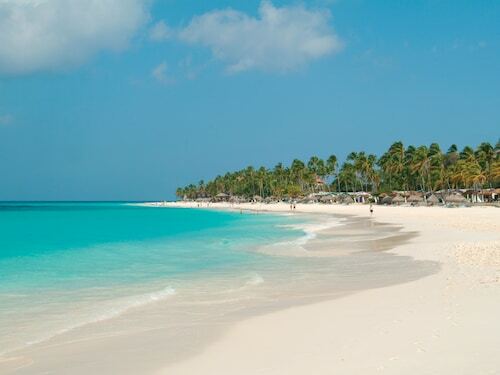 We stayed in Divi All Inclusive Casita and the best part we are just step away from amazing beach ! We didn’t like those destination weddings. The management should find a spot only for the wedding event so we can all enjoy !!! Love that it's a small property where you personalized service and are made to feel part of the family.